How to register a trademark in Hong Kong? Not sure what is left to do after you have registered your business with the Hong Kong government? Making a company a brand doesn’t only involve registering and incorporating it. As soon as you have your company ready and you have begun to operate, there are lots of other things that need to be taken care of. Other than the accounting, tax obligations and getting all the licenses and permits needed, you might have to register other important things as well. For instance, you might have created a logo or a sign that would be used with your company name to create your brand, otherwise known as a trademark. This trademark too should be registered with the government. Why? Just like registering the name of your business, registering your trademark is equally as important. Didn’t know this was something important that you need? Well, this article would let you know all that you need to know to register a trademark in Hong Kong. A trademark is a sign (like a logo) that helps in identifying your specific services and goods from the many other companies around the world. When you register a trademark in Hong Kong, you get the rights to use it with the particular services and goods for which you registered the trademark. In short, it is important for you to register a trademark in Hong Kong to protect your business. Why do you need to register a trademark in Hong Kong? It is not a legal obligation to register a trademark for your business. Nevertheless, the registered trademarks are assets owned by someone. This means that if you do not register your trademark, anyone else can use it and you cannot defend your asset or take the person to court for for misusing it. Being the owner of a registered trademark means that you would have the exclusive rights to utilize the trademark as you wish with your services and products. But in case another person uses the registered trademark or any name that is similar to the one you have registered without your approval, you can take this person to the court and take out proceedings against them. Unregistered trademarks are not under any government protection under the law, though there are common law actions that covers them. But to prove that the trademark is yours, you would have to prove your goodwill and reputation towards the trademark. Also, you would have to prove that the other person has misrepresented their services or goods to be the ones under the unregistered trademark. In short, you have to prove that the person using your trademark would cause you financial loss. As a matter of fact, the passing off law is very complicated and it is difficult to get the infringement action against someone for using it. So, it is better to register a trademark in Hong Kong with the government before you use it. This would make it easier for you to legally deal with those who use the same trademark for their goods or services. A trademark can be nearly anything. It can be a graphic image, a phrase, or even just a word. However, the name of the company is not the same as a trademark. Also, you cannot use a trademark that is similar or identical to any other existing registered trademark or the one whose registration has not been done and is being used for any similar or same kind of goods or services compared to what you are offering. For a trademark that describes the services or goods (like ‘Clean’ washing powder) or the one that has a general term used, they cannot be registered as a trademark by law. This is unless and until it is a well-established brand and has been used for some years before the application was made to register a trademark in Hong Kong. It’s important to apply to obtain the benefits of a registered trademark. An application should be filed and given to the Intellectual Property Department of the Government of the Hong Kong SAR. The applications are handled by the Trade Mark Ordinance, (Chapter 559) in Hong Kong. This department is the one that decides if the registration can be done or not based on investigation after you provide your application. It is easy to register a trademark in Hong Kong. You just need to file the application, either online or by visiting the Trade Marks Registry of the Intellectual Property Department. As a matter of fact, the trademark can be registered only in case the trademark is being used by the person or company, or if it is about to be used in the future. Any claim for priority consideration of your application. 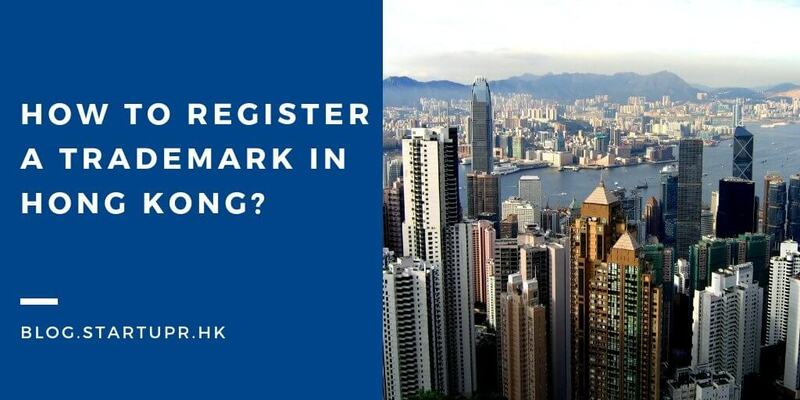 As soon as the Trade Marks Registry is satisfied that the application is in order and all the formalities are fulfilled, they would then investigate to find if the trademark is acceptable for registration as per the Ordinance in Hong Kong. In short, the application would be cross-checked to see if it complies with the Trade Marks Rules (Cap. 559A) and the Trade Marks Ordinance (Cap. 559). They would check to see that the trademark is not similar or identical to another trademark already registered and that is not related to any similar or identical services or goods. To find out about this, the Registry would publish the trademark in the official journal for three months for people to view about the application, and object if they feel it is similar to their or another similar trademark. In case the objection is considered or if the Intellectual Property Department of the Government of the Hong Kong SAR objects to the trademark themselves due to a conflict with previous trademarks, you would have three options. These options are either to have the objection considered at a hearing in the court, seek to register another trademark. In case there was no objection received by the Registry, or if the objection was considered and overruled, your application to register a trademark in Hong Kong would be considered. The registration would be for a period of 10 years, being renewed every 10 years. The starting date of the registration would be the date when you had filed your application. The applicant would then receive a certificate of registration for the trademark. How much does it cost to register a trademark in Hong Kong? The application fee and application form provided to the Intellectual Property Department of the Government of the Hong Kong SAR is HK$1,300. If there is any additional trademark classes that is included in the application, you would have to pay an extra $650 extra for each added class (explained about in the next section). Even though the application can be processed quickly, it is advised to wait for at least 12 months from the application date to fully register a trademark in Hong Kong. The term “class” as used with trademarks means the types of services and goods you wish to register. Basically, you would have to put all the services and goods in the class(es) that they fall under and also give the class name when filling the application to register the trademark. There is a general classification as per the World Intellectual Property Organization (WIPO), used in Hong Kong. The class number ranges from Class 1 to Class 45. Check out the details here to find out where to add what in your trademark application as per the classification. How do the registered trademarks work across different jurisdictions? Every country has its own laws and if you register a trademark in Hong Kong, it would only be registered in Hong Kong. If you want to register in any other country and claim your trademark ownership all over the world, including China, you would have to file separately for the registration in those countries as well. It should be noted that registering a trademark does not mean that a person cannot use the same company name, business name or domain name. The trademark registration is different from the registration of the company, the domain name registration, and the business registration. Each has its own purpose and the application for each is also different. Hence, you would have to apply for each of them separately with the respective government organizations or offices. If you want to register your business and company name with the Hong Kong government, then Startupr can help you with it. From registration of the business and its incorporation to providing a virtual office address, Startupr offers the services for opening a new company. Contact now!